WASHINGTON; December 23,2013—People who tell themselves to get excited rather than trying to relax can improve their performance during anxiety-inducing activities such as public speaking and math tests, according to a study published by the American Psychological Association. Several experiments conducted at Harvard University with college students and members of the local community showed that simple statements about excitement could improve performance during activities that triggered anxiety. The study was published online in APA's Journal of Experimental Psychology: General. In one experiment, 140 participants (63 men and 77 women) were told to prepare a persuasive public speech on why they would be good work partners. 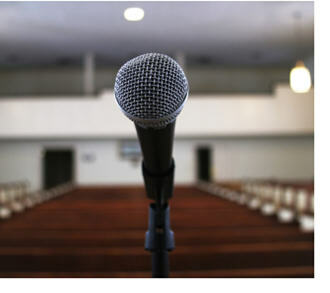 To increase anxiety, a researcher videotaped the speeches and said they would be judged by a committee. Before delivering the speech, participants were instructed to say "I am excited" or "I am calm." The subjects who said they were excited gave longer speeches and were more persuasive, competent and relaxed than those who said they were calm, according to ratings by independent evaluators. "The way we talk about our feelings has a strong influence on how we actually feel," said Brooks, an assistant professor of business administration at Harvard Business School. In another experiment, 188 participants (80 men and 108 women), were given difficult math problems after they read "try to get excited" or "try to remain calm." A control group didn't read any statement. Participants in the excited group scored 8 percent higher on average than the calm group and the control group, and they reported feeling more confident about their math skills after the test. In a trial involving karaoke, 113 participants (54 men and 59 women) were randomly assigned to say that they were anxious, excited, calm, angry or sad before singing a popular rock song on a video game console. A control group didn't make any statement. All of the participants monitored their heart rates using a pulse meter strapped onto a finger to measure their anxiety. "Get Excited: Reappraising Pre-Performance Anxiety as Excitement," Alison Wood Brooks, PhD, Harvard Business School; Journal of Experimental Psychology: General. 2013. Press materials provided by American Psychological Association.